UPDATE: The 28 pages plank was voted down on Tuesday morning by the full platform committee. The national security subcommittee of the GOP platform committee today approved a plank that calls for the declassification of 28 pages that are said to link the Kingdom of Saudi Arabia to the 9/11 hijackers. The plank was introduced by Maine state senator Eric Brakey, who contacted 28Pages.org director Brian McGlinchey last week after hearing his interview on The Tom Woods Show. McGlinchey helped Brakey draft the plank’s language. Planks are official expressions of the party’s opinions on various issues. To be incorporated in the final platform, the 28 pages plank must first be approved on Tuesday by a majority of the full, 112-member platform committee. Then, along with all the other proposed planks, it must be approved by the full body of next week’s GOP convention in Cleveland. If adopted, the plank would represent an important new endorsement of the release of the 28 pages. Supporters of declassification already include more than 70 Democratic and Republican members of Congress, former members of the 9/11 Commission and the editorial boards of many of the nation’s most prominent newspapers, including The New York Times and USA Today. The proposed platform of the Democratic Party, which has already been approved for consideration at the national convention, is silent on this issue, but could theoretically be amended to address it. 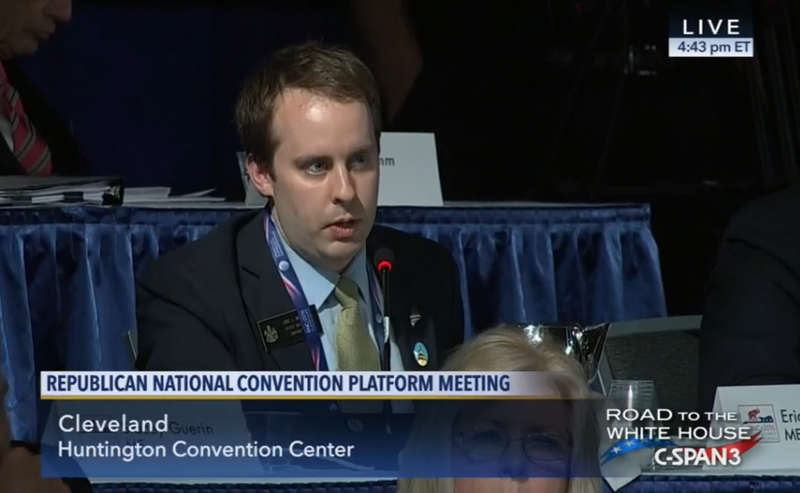 The Republican platform committee proceedings can be viewed live at CSPAN. As the nation continues to confront terrorism at home and abroad, the American people are being denied access to information that can provide vital insight into the funding of Islamic extremism: 28 classified pages from a 2002 joint congressional intelligence inquiry into the September 11 attacks. A former senator who co-chaired the inquiry says the pages “point a very strong finger at Saudi Arabia as being the principal financier” of the 9/11 attacks and that, by shielding the kingdom from consequences for its actions, the redaction has encouraged its continued sponsorship of extremism and paved the way for the rise of ISIS.